How to Select Ribbons For Medals? 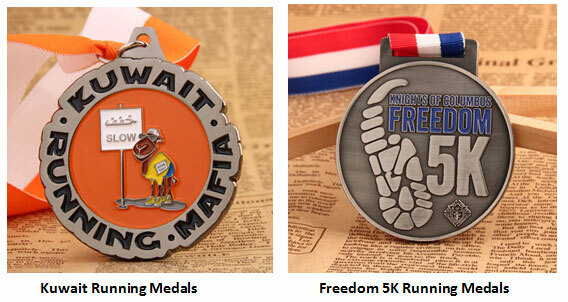 An accessory for custom medals is also important. The size, color and design should be considered when selecting ribbons. Generally speaking, common medals are different from military medals. The automated quotation system at GS-JJ is humanized. The inches area is from 1.5 inches to 4 inches. 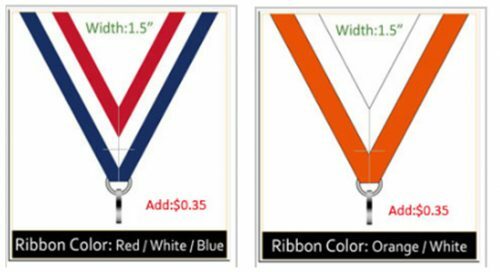 Along with the medal size, your ribbon size is different. As we can see, more bigger medal is, more bigger size is! This is for your comfort level and safety. Too small ribbon and big medal will make your neck heavy. If you are not satisfied with the marked size, you can contact salesman to select your favorable size. By and large, the medal is under the chest muscles. There are three designs for you to choose. 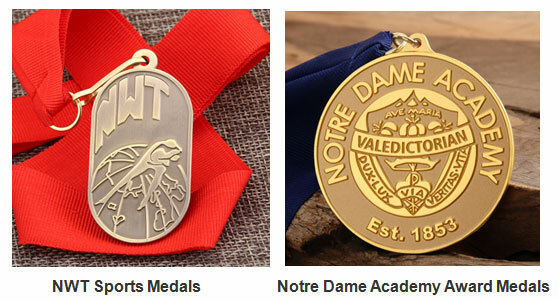 Usually, pure color ribbons are suitable for antique medals and shiny medals because they are designed without color. Pure color can fuse them. Black, white, red and blue are popular color. 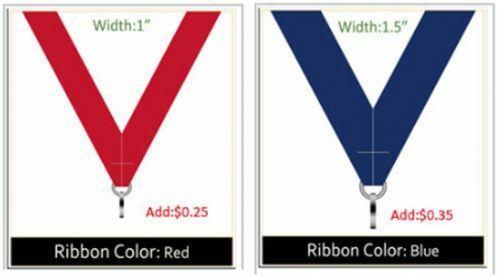 Mix color ribbons are appropriate for soft enamel medals and hard enamel medals. Especially for colored medals, it will make your medals more shiny. There are two kinds of mix ribbons. One is three color alternated like red-white-blue ribbon, other is two color alternated like white and orange ribbon. This kind of ribbon is nice for medals with much color. 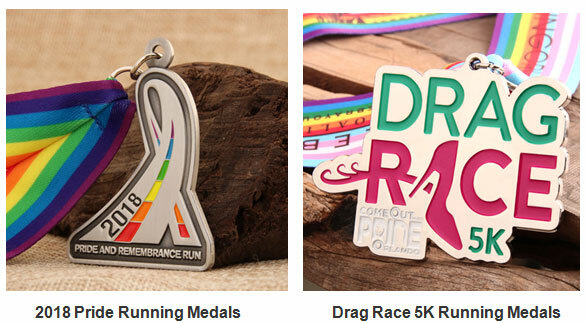 Rainbow ribbons are popular among running medals. Multi-color will attract people’s eyes. 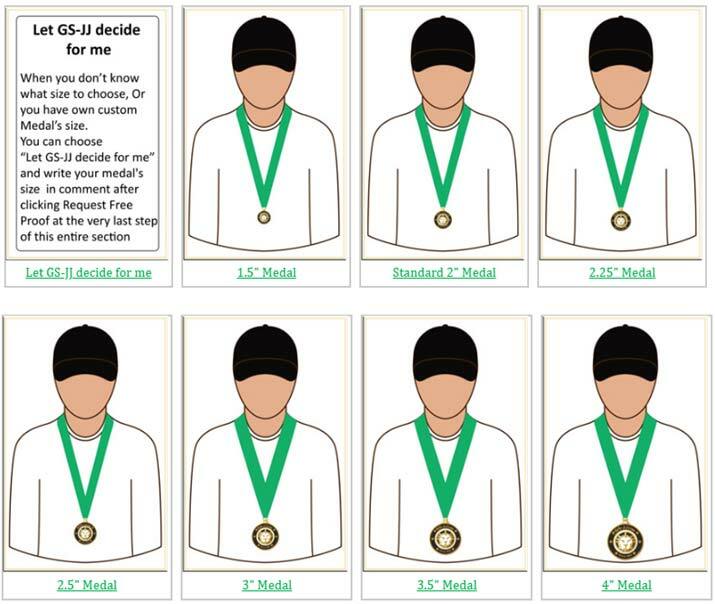 Medals without color is not suitable, which will be a little bit strange. 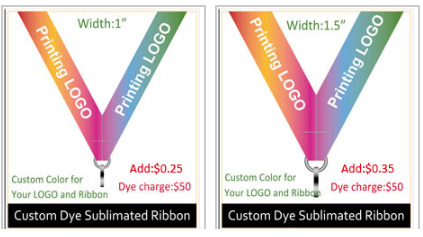 If your custom medals are colorful, why not try this ribbon? Four common design of ribbons are simply introduced. 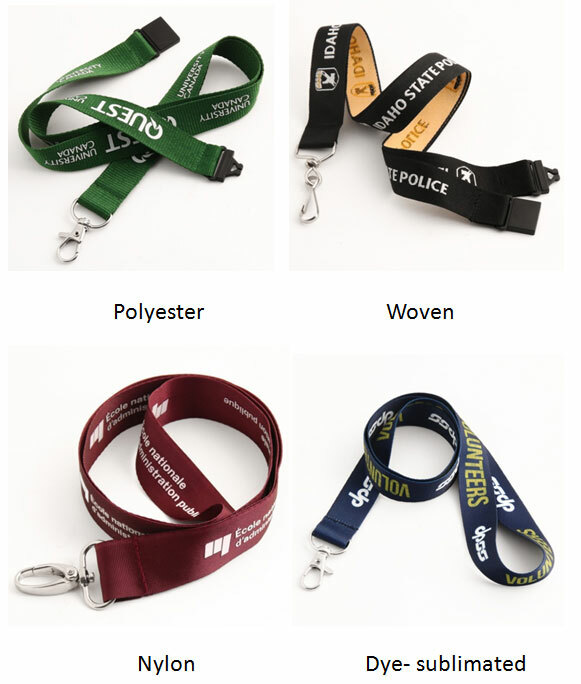 You can know more information in this blog <<How to choose the best type of lanyard to suit you >> . You can consider according to your needs. Polyester Ribbon is a simple design. The price is cheap. 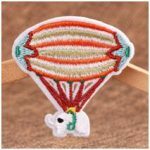 Woven ribbon can be printed logo and texts because these are knitted and durable. But it is a little expensive. If you have limited budget, you can give up it. Nylon ribbon is a little smooth. Simple texts and logos can be printed. However, it is a little formal. 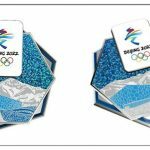 Dye Sublimated Ribbon is very suitable and smooth. When you wear it, your neck will feel cool. The logo and texts dyed are vivid. However, It has poor air permeability. Selecting ribbon is also very important. If you have any problems, you can contact with our salesman. They will help you in selecting ribbon. After all, Details determine success or failure!